We’ve seen the future. Well at least for some of you. 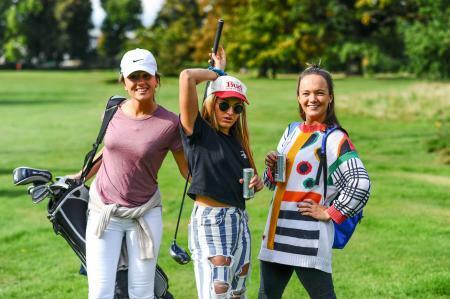 Every time we think that golf clubs can’t improve, one of the companies proves us wrong. This time it’s Cobra. Oversize heads, titanium woods, graphite shafts, adjustable weights. Move over. Single length irons are where it’s at. 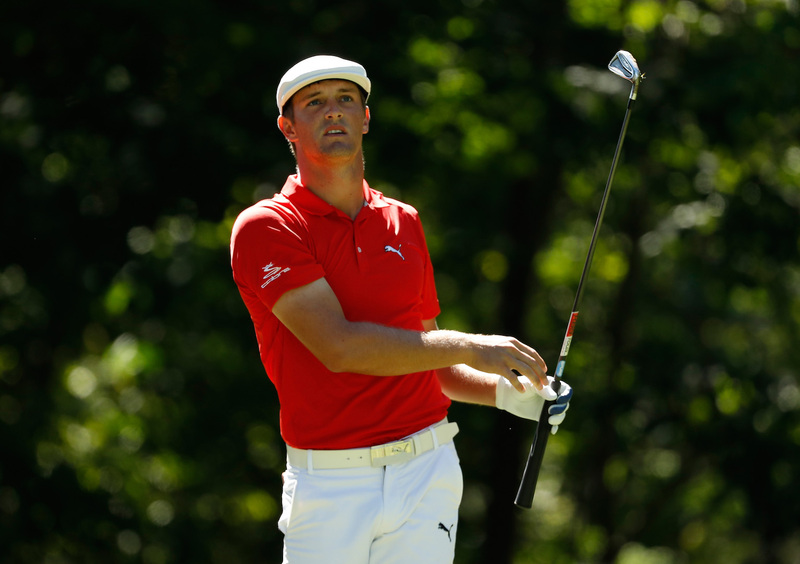 Everyone knows that Bryson Dechambeau has been using a set of single length irons. 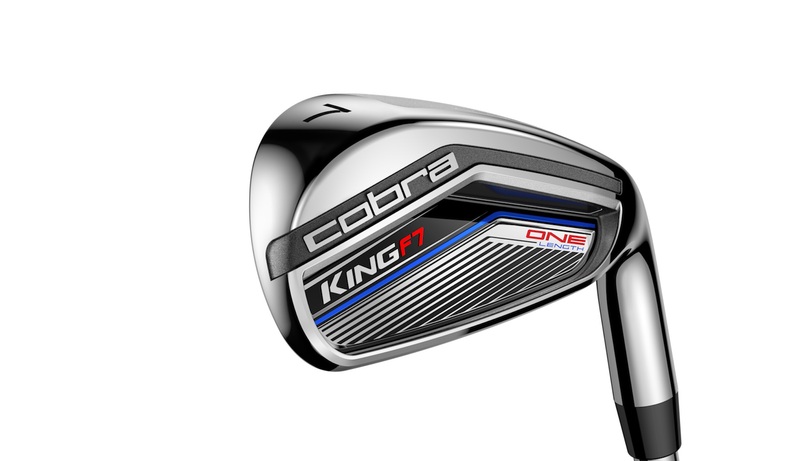 Now Cobra are launching his exact irons the Cobra King Forged One Length. Or if you want more forgiveness they’re offering you the F7 One Length. How can they help your game?? 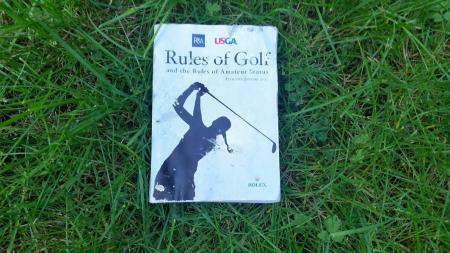 The idea behind Single Length golf clubs is simple. Every Iron is built at the same length. With the same lie angle. And the same weight. Rather than your clubs getting progressively shorter from 3 iron to PW, they stay the same length. One length equals one golf swing with every club, which in theory should improve your consistency. Cobra have decided to make every iron the same length as a seven iron. Which considering that's most golfers favourite club is a really good place to start. 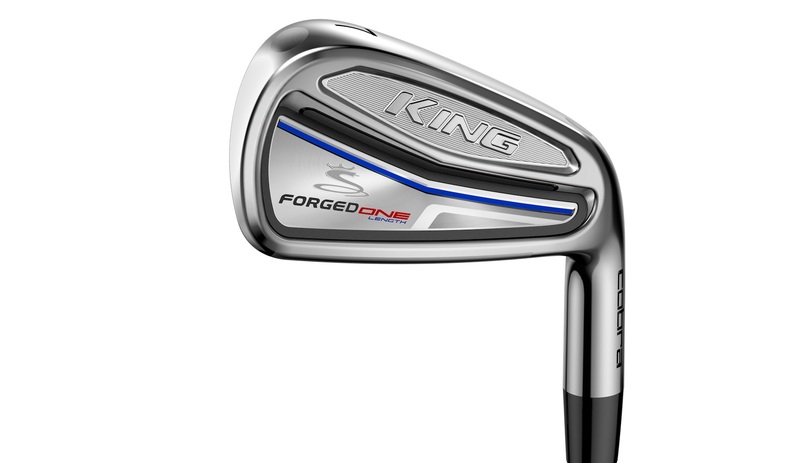 According to Cobra the King Forged One irons utilise a 5-step forging process which improves the feel of the irons. 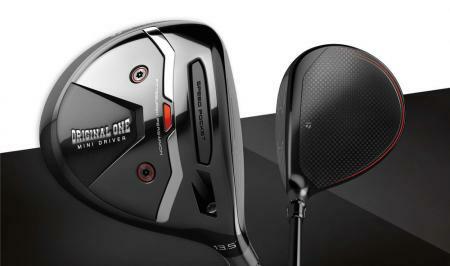 They have been designed to provide consistent trajectory and distance gapping from long irons to wedges. They feature 100% CNC Milled Face and Grooves for maximum spin and trajectory control, Tungsten Weighting (in 4i-7i) for a lower and centered CG and a Thermoplastic Polyurethane (TPU) Insert (4i–8i) behind the hitting zone to dampen vibrations for better feel and move weight toward the perimeter for greater forgiveness. 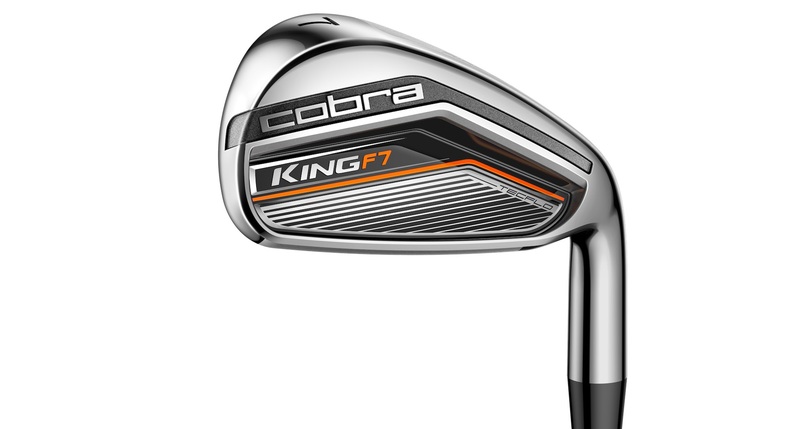 If you want more forgiveness Cobra are also launching the F7 One. The KING F7 irons incorporate COBRA’s patented TECFLO technology to deliver a set that utilises advanced cavity construction to optimise the performance of each iron. A full hollow design with their PWRSHELL face insert in the long irons (3-5) delivers a low CG with an extremely responsive face for easier to hit long irons. The mid irons (6-7), feature a half hollow design that delivers optimal CG for more precise, easy-to-hit clubs, meaning more greens-in-regulation. The scoring irons (8-PW) utilise a traditional cavity back design with wedge spaced grooves for added spin and more control to attack the pins. Finishing out the KING F7 set is a specialty wedge design that provides added versatility and enhanced shot control greenside in the sand and gap wedges. It’s a simple premise. At a recent launch event at the N1 Driving range in Greenwich we got to try the irons. And they were eye opening. We warmed up with a couple of the King Forged One Length seven irons and it was exactly what you would expect. A forgiving forged ion with a soft feel and a powerful ball flight. It’s the type of golf club we prefer, it’s a great club, but it does’t stand out from other designs. Ball position is a big part of how single length irons work. And this is where it took some getting used to. For the best results we found we had to put the ball in the seven iron position every time. With the four iron the difference wasn't too bad, we just found we were hitting a high fade if the ball positions crept forward to where it would normally be. With the short irons it was a whole different story. Hitting a PW with the shaft of a seven iron feels much odder than hitting a four iron at that length. It feels a little unwieldy. Our natural instinct was to put the ball back, and when we did that we were just hitting the club fat every time. As soon as we moved to where the seven iron would be played from, it was high draws every time. Admittedly a touch higher than we’re used to seeing, but not excessively so. The premise makes a lot of sense. And we’re going to do some long term testing with the King Forged One irons. 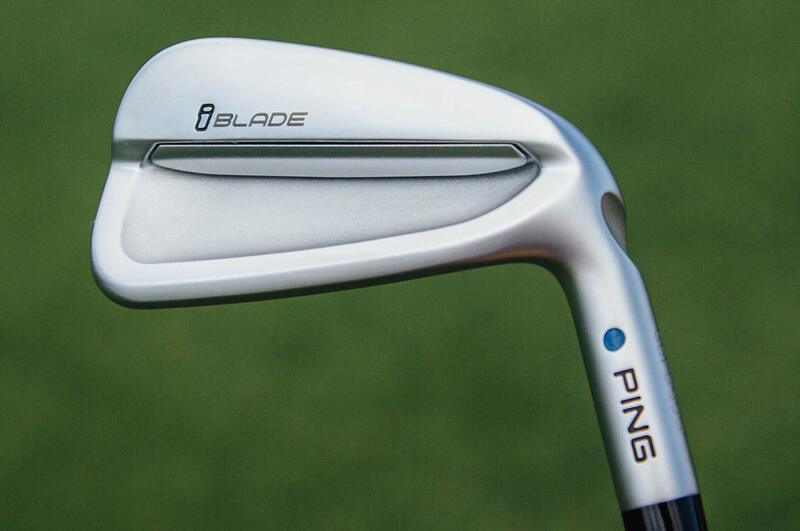 The short irons are going to take some getting used to. Chipping is obviously going to feel different with the longer shaft, and more upright lie angle. But the key for us is the consistency that it should breed. Cobra’s testing has indicated that counter to what they expected, golfers short games and approach play has actually improved since switching to longer short irons. We’re also interested to see how the clubs distance gaps change throughout the set. Cobra have assured us the lofts have been adjusted to keep consistent gaps, but logic would suggest that the longer irons would fly shorter than a traditional set and the short irons would fly longer, bunching the clubs closer together than we would want. To us, albeit from our short test, the irons all felt they were going the correct distances. We loved 'em. If you like the look of either iron they are also going to be found with a standard version too. Known as the King Forged Tour and the King F7, they feature the same features but in a traditional progressive set composition. Available in both right-hand and left-hand, The KING F7 RRP: £549 – 7-piece steel set (5-GW / 4-PW) or 7 piece graphite set for £649. Irons are offered stock with Lamkin REL-Black grips and in either a Fujikura Pro 63i (graphite – stiff, regular, lite) or True Temper King F7 (steel – stiff and regular) shaft option. The KING F7 ONE (RRP: £549 steel; £649 graphite) will be available in both right-hand and left-hand versions, in steel stiff and regular flex, and graphite stiff, regular and lite flex, and will feature a 5-GW standard set make-up. They are offered with Lamkin REL-Blue grips with red and white accents and in either a Fujikura Pro 63i (graphite) or True Temper King F7 (steel) shaft option. The KING FORGED TOUR, available in right-hand only, offer a standard stock set composition of 4-PW (3i and GW available in custom) steel stiff/regular flexes, with a MAP price of £749. They are offered stock with Lamkin Crossline – Black grips and KBS TOUR FLT steel shafts. Premium chrome plating provides the perfect finish for these great looking, long-lasting irons. The KING FORGED ONE, available in right-hand only in steel stiff and regular flexes, will offer a 4-PW standard set make-up and will feature a RRP of £849. They are offered stock with Lamkin Crossline ACE blue grips with red & white accents and KBS TOUR FLT steel shafts (120g stiff; 110g regular).